The Essential Home assistant will be open to AI from other companies. 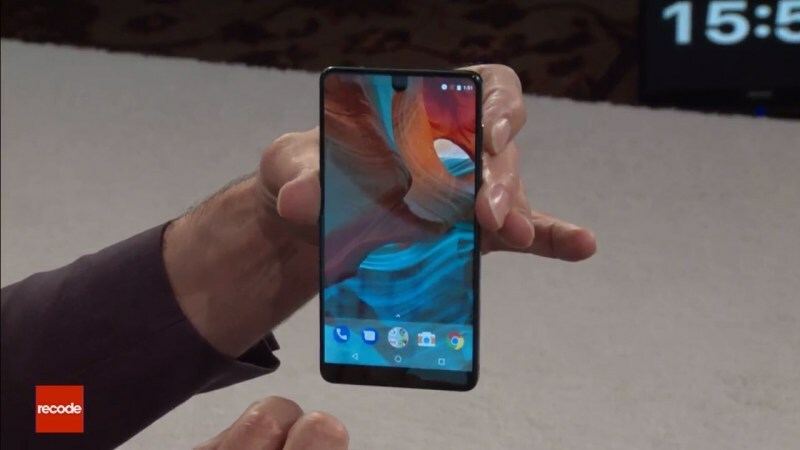 During an interview with Walt Mossberg tonight at the Code Conference, Android creator and now Essential Products CEO Andy Rubin showed off his latest creation, the Essential Phone. When it was announced this morning and reservations opened the company didn't say much about when to expect shipments, but in response to a question from Mossberg, Rubin said that he "wouldn't take reservations if it wasn't going to ship in, you know, 30 days or so." He also mentioned that the company's Home assistant would be able to support AI helpers from other companies like Google, Amazon or Apple (if they choose to make them available on its Ambient OS). Essential has its own AI assistant that runs on both the PH-1 phone and Home, but as Rubin put it, "All these people that have ecosystem envy...they have a thing. Like SmartThings as an example which is Samsung's thing...but consumers don't want just Samsung's stuff in their house." He also pitched the phone's magnetic connector as a replacement for docks and dongles, and even a way to solve any problems created by the headphone jack it doesn't have. So far, the only accessory to show (of the five or six Rubin said he'd build first while spurring support from others for hardware accessories) is the 360-degree camera, which he also showed off onstage.